Draft: 2005, Cincinnati Reds, 1st rd. Jay Allen Bruce…resides in Houston, TX, with wife, Hannah, and sons, Carter and Max…graduated from West Brook High School (Beaumont, TX) in 2005…was a National High School Player of the Year candidate his senior season after batting .538 with 12 home runs, 31 RBI and 13 stolen bases…donated $100,000 to help upgrade the baseball field and stadium at Brian Wilson Field, home to the University of Cincinnati Clermont College's baseball squad…became a charter member of the Taylor Hooton Foundation's advisory board in 2014; the Hooton Foundation is widely acknowledged as the leader in the advocacy against the use of performance and appearance-enhancing drugs by the youth of America…in the aftermath of Hurrican Harvey, assisted in raising more than $350,000 - including a personal donation of $100,000 - for his flood and hurricane-ravaged hometown of Beaumont, TX. The Totals - Hit .223 (71x319) with 31 runs, 18 doubles, 9 home runs and 37 RBI in 94 games with the Mets...DL Stint - On the 10-day disabled list, June 19 (retro to 6/18)-August 24, 2018, with a sore right hip...Walk This Way - Posted a careerbest 11.4% walk rate (41 BB, 361 PA)...Grand Salami Time - Belted two grand slam home runs: April 5 at Washington (Brandon Kintzler) and Sept. 12 vs. Miami (Ben Meyer)...On the Mend - Appeared in 7 games on a rehab assignment with High-A St. Lucie…hit .360 (9x25) with 3 runs, 1 double, 1 home run, 2 RBI and 2 walks. Hit a career-high 36 home runs and had 101 RBI combined between the Mets and Indians...Was his second-season with 100 or more RBI (drove in a career-best 109 in 2013)...Had five multi-homer games in 2017, tied for eighth-most in the majors...The five multi-homer games, four of which came with the Mets, matched his career-best mark from 2010...Went 3-4 with a pair of home runs and five RBI on April 19 vs. the Phillies...Was the fourth time in his career (first time as a Met) that he delivered a pair of go-ahead homers in the same game...Became the first Met to deliver a pair of go-ahead home runs in the sixth inning or later since Mike Piazza did so on July 3, 2002 against the Phillies...Research courtesy of Elias...Went 2-5 with two home runs (one being his fifth career grand slam) and a career-high six RBI on May 2 at Atlanta...Had 41 extra-base hits prior to the All-Star break, most by a Met in the first half since Carlos Beltrán had 43 extra-base hits in the first half in 2011...Homered in three straight games from July 4-8, his longest streak since career-best five straight games, July 23-27, 2016...Hit 23 first-half home runs, tied for the fourth-most in team history...Traded to Cleveland on August 9 in exchange for righthanded pitcher Ryder Ryan...With Cleveland he made 40 starts in right field and appeared in one game at first base…Indians were 32-8 (.800) in his starts in right and after the August 9 trade the club went 42-9 (.824)...Recorded his 25th-career multi-homer game, and fifth of the season, August 18 at Kansas City. • Reached 25 homer mark for the third-straight season and the seventh time in his career...Delivered a walk-off RBI double to extend the Indians 22-game winning streak on September 14 in a 3-2 win in 10 innings. Started all five games of the ALDS with Cleveland vs. New York-AL...Homered in each of the first two games of the series, both Cleveland victories...Went 5-18 (.278) with a 1.000 OPS in the series, notching two homers, a double, four RBI, five runs scored and two walks. Acquired by the Mets on August 1 in exchange for infielder Dilson Herrera and minor league lefthanded pitcher Max Wotell...Was batting .265 (98-370) with 22 doubles, six triples, 25 home runs, 80 RBI and 60 runs scored in 97 games with Cincinnati before the trade...Was the first player to be traded during a season while leading his league in RBI since the stat became an official stat in 1920...Research courtesy of Elias...His 33 home runs were the second-most he's hit in his career (34 in 2012) while his 99 RBI were tied for the second-most in his career (also 2012)...Finished the season among the National League leaders in home runs (33, T-6th) and RBI (99, 8th)...Batted .219 (37-169) with five doubles, eight home runs and 19 RBI in 50 games after joining the Mets...Had 10 outfield assists (nine with Cincinnati and one with the Mets), tied for fifth-most in the National League...Hit his first home run as a Met on August 4 at the Yankees, a three-run shot in the fifth inning...Bruce became the second Met who's first career hit as a Met was a home run versus the Yankees...The other Met to do so was Shawn Estes, who homered off Roger Clemens at Shea in 2002 (Elias). Hit his first career pinch-hit homer in the ninth inning on September 24 vs. Philadelphia... Was his 30th home run of the season...Was the fourth 30-homer season of his career...Delivered a go-ahead, two-run homer on September 27 at Miami...Was his first go-ahead RBI as a Met and first since July 29 at San Diego...Homered in three consecutive games for the second time in 2016 from Sept. 27-30 (first time with the Mets)...Homered in a career-best five straight games with Cincinnati from July 23-27...Homered and drove in multiple runs in three consecutive games (Sept. 28-30)...The only Mets players with a streak of that length in the last 10 seasons are Scott Hairston (May, 2012) and Lucas Duda (Sept., 2015)...Was one of nine players in the majors with at least 35 doubles, 26 home runs and 87 RBI. Started in rightfield in the NL Wild Card Game vs. San Francisco. Was 1 of only 9 players in the Major Leagues, and along with Todd Frazier the only set of teammates, with at least 35 doubles, 26 homers and 87rbi...ranked ninth in the National League in extra-base hits...after the All-Star break ranked eighth in the league in RBI (45)...with 11 assists ranked third among NL outfielders (Starling Marte 16, Gregory Polanco 13)...led the club in triples and in starts batting both fourth (58) and fifth (55) in the order...from 5/14-6/4 reached base safely in a season-high 17 straight apps (.333, 4 2b, 2hr, 7rbi, 14bb, .465obp), raising overall BA from a season-low .162 to .222...from 6/16-6/24 hit .467 during a season-high 7-game hitting streak (4 2b, 3hr, 9rbi) that raised BA from .209 to .241...in the 4-0 win on 6/7 vs SD produced 2 homers and 4rbi...homered on Opening Day...produced his fourth career grand slam (4/21 at Mil off Mike Fiers) and a pair of 2-homer games (6/7 vs SD, 9/20 at Mil)...homered in a pair of 1-0 wins, on 7/10 at Mia (off David Phelps) and 7/29 at StL (off John Lackey)... on 8/10 at SD became the ninth Reds player and 319th Major Leaguer with 200 career home runs (solo off Ian Kennedy)...the ball was caught and returned by Joe Sichi, 19, of Fallbrook, CA...on 9/7 singled off Pit's Jeff Locke for his 1,000th career hit...became the 1,279th player with 1,000 career hits (1,170th player since 1900)...on 5/2 at Atl became the first Reds batter with 2 triples in a game since Dmitri Young on 9/28/00 at Mil...on 5/14 vs SF made the 1,000th appearance of his career and on 7/10 at Mia his 1,000th appearance in RF...in the 13-inning, 8-4 win vs Det on 6/17 produced 5 hits, a career high and the most by a Reds batter all season...on 7/12 at Mia recorded his 200th career double...on 7/22/night vs Cubs produced his 600th career RBI on a run-scoring groundout...in the third inning on 9/2 at Cubs grounded out in his 4,000th career at bat...for the second straight season was nominated for the Bob Feller Act of Valor Award, which honors one U.S. Navy Chief Petty Officer, one Cooperstown Baseball Hall of Famer and one active Major League Baseball player who reflect the values, integrity and dedication to serving our country that the former Indians pitcher possessed. Turned 27 years old 3 games into his seventh Major League season...fell 2 homers shy in his bid to become only the 12th player in Major League history to produce at least 20hr in each of his first 7 seasons...spent just 2 weeks on the 15-day disabled list (5/6-5/20) following arthroscopic surgery to repair the torn meniscus in his left knee...from 7/29-7/31 missed 3g while on the bereavement list...after Joey Votto was disabled and with Brayan Pena on paternity leave, made his only 3 professional apps and starts at 1B (7/7 vs Chi, 7/8 vs Chi, 7/11 vs Pit)...led the club with 57 starts batting fourth and 42 starts batting fifth...on 7/28 vs Ari batted second in the order for the ?rst time since 5/1/11 vs Fla and for the season made 16 starts in that spot...on 4/3 vs StL celebrated his 27th birthday with 2 hits, including a 2-run HR off Lance Lynn...on 6/3 vs SF produced an RBI-double off Tim Lincecum for his 500th career RBI...joined Johnny Bench, Frank Robinson, Vada Pinson and Adam Dunn as the only Reds players to produce 500rbi at age 27 or younger...his 2-run HR on 6/7 off Phi's Ethan Martin was his 100th at Great American Ball Park...from 6/20-6/26 produced an extra-base hit in 7 consecutive apps, the sixth-longest such streak in Reds history since 1900 and the longest since Dave Parker's 8-game XBH streak in July 1986...from 7/6-7/8 homered in consecutive games off Mil's Will Smith and Chi's James Russell and Travis Wood...became the first player to homer in 3 consecutive apps with a home run off a LHP in each game since Det's Matt Tuiasosopo did it from 7/8-7/11, 2013; the first lefthanded batter since SF's Brandon Belt did it from 6/12-6/14, 2012; and the first Reds lefthander to do it since Adam Dunn from 6/11-6/13, 2006...in that 4-2 win on 7/6 vs Mil, his 2-run HR in the eighth inning off Smith snapped the 2-2 tie and his career-high 0-for-26 skid...on 7/27 vs Wsh became the 34th player in Reds history to score 500 runs, joining teammates Votto and Brandon Phillips...on 8/18 made his 890th career appearance in right ?eld, a new club career record for games at that position (Ival Goodman, 889g in RF from 1935-1942)...on 9/2 at Bal hit his third career grand slam (off Darren O'Day)...hit his last 2 homers of the season on 9/21 at StL...was nominated for the Bob Feller Act of Valor Award, which honors one U.S. Navy Chief Petty Officer, one Cooperstown Baseball Hall of Famer and one active Major League Baseball player who reflect the values, integrity and dedication to serving our country that the former Indians pitcher possessed. Turned 26 years old 2 games into his sixth Major League season...won his second consecutive Louisville Slugger Silver Slugger Award after leading all Major League right fielders in HR, RBI, doubles and extra-base hits...won the club's Wilson Defensive Player of the Year Award...for the second straight year was a finalist for MLB's Hank Aaron Award and for the third straight season was a finalist for the NL's Rawlings Gold Glove Award...for the second straight season finished 10th in the BBWAA's Most Valuable Player voting...won the Joe Nuxhall Good Guy Award in voting of the local chapter of the BBWAA...led the club in total bases, doubles, HR and RBI...ranked among the National League Top 10 in HR (3rd), RBI (T2nd), total bases (4th), doubles (T3rd), extra-base hits (2nd) and outfield assists (13, T3rd)...established career highs in apps,runs, hits, doubles, RBI and outfield assists...became only the third player in Reds history to produce in a season at least 40 doubles, 30 homers and 100rbi (Dave Parker, Frank Robinson)...in 2013 was the only player in the Major Leagues with at least 43 doubles, 30 homers and 109rbi...from 6/14-6/22 homered in 7 of his 9 apps (8hr, 9rbi)...on 4/22 vs Cubs hit his first HR of the season in his 83rd at bat (solo off Travis Wood)...in the third inning on 5/11 vs Mil became the first Reds player with 2 hits in an inning since Drew Stubbs on 4/25/11 at Mil and the first with 2 doubles in an inning since Sean Casey on 8/7/98 vs Mil...from 5/15-8/23 started 90 consecutive games...in the 4-3 win on 6/14 vs Mil hit his fifth career walkoff HR (solo off Burke Badenhop)...on 6/21 hit his 150th career HR (solo off Wade Miley)...on 9/17 at Hou the native of nearby Beaumont hit his 30th HR of the season, a grand slam that produced his 100th RBI...in that series at Hou, from 9/16-9/18, went 7-for-13 (3 2b, 1hr, 10rbi). Turned 25 years old 2 days before Opening Day ... was selected by National League manager Tony LaRussa for his second conscutive All-Star Game appearance ... won his first Louisville Slugger Silver Slugger Award and was the Reds' nominee for the Hank Aaron Award ... was a finalist for the Rawlings Gold Glove Award ... finished 10th in the BBWAA's Most Valuable Player voting ... his throwing arm was rated thirdbest in the NL by league managers...was 1 of only 3 players in the Major Leagues with at least 35 doubles, 34 homers and 99rbi (Ryan Braun, Miguel Cabrera) ... joined Hall of Famer and fellow Beaumont, TX native Frank Robinson (1956-60) as the only players in Reds history to produce at least 20 homers in each of his first 5 seasons ... fell 2 doubles and a homer shy of becoming only the second player in Reds history with at least 37 doubles and 35 homers (Robinson, 1962, 51 2b, 39hr) ... twice won the NL Player of the Week Award (4/23-4/29, 9/3-9/9), the fourth and fifth weekly awards of his career to tie Eric Davis for the most ever by a Reds player ... ranked among the National League leaders in HR (3rd), RBI (9th), extra-base hits (74, 4th), slugging (.514, 8th) and total bases (288, 8th), all team and career highs ... also established career highs in runs, doubles and stolen bases ... in 44 apps while Joey Votto was injured produced 12hr and 32rbi ... from 8/31-9/8 hit each of the Reds' 6 home runs...3 times homered in at least 3 straight games and twice homered in 4 straight games (4/26-4/29, 9/2-9/5) ... homered once on Opening Day and twice in Game 3 to become the first player in Reds history to produce 3hr in the team's first 3g ... in the eighth inning of the 4-0 Opening Day win vs Mia homered off Edward Mujica to extend the Reds' lead to 3-0 ... leading off the ninth inning of the 6-5 walkoff win on 4/8 vs Mia, his second HR of the game (off Heath Bell) tied it at 5-5 before Scott Rolen's RBI-single won it ... in the Division Series vs SF hit safely in 4 of his 5 apps and produced an RBI in each of the first 3g. The first-time National League All-Star turned24 years old on the fourth day of the season...was a finalist forthe Rawlings Gold Glove Award...established career highs inalmost every statistical category, including games, runs, hits,doubles, HR, RBI, walks and stolen bases...ranked among theNational League leaders in HR (8th), RBI (T8th), intentionalwalks (14, T8th) and outfield assists (10, T6th)...was theNational League's Player of the Week for 5/23-5/29 (.353, 4hr,13rbi) & 8/8-8/14 (.340, 5hr, 19rbi) and Player of the Month forMay (.342, 12hr, 33rbi)...led the club in starts batting fourth(62gs) and fifth (66gs)...on 9/27 at NYM, in the 161st game ofthe season, hit a 2-run HR off Chris Capuano to become thethird-youngest player in Reds history to produce 100 homers(24 years, 177 days), behind only Johnny Bench (23 years,161 days) and Frank Robinson (23 years, 230 days)...his 100career homers are third-most by a Reds player through his first4 seasons (FRobinson 134, Adam Dunn 118)...produced his30th HR on 9/10 at Col (solo off Alex White)...became only thefifth player in franchise history to hit 30 homers in a seasonprior to his 25th birthday (Gus Bell, Frank Robinson 3 times, Johnny Bench twice, Adam Dunn)...his 47 homersbeginning 8/1/10 ranks T4th among all NL hitters (Albert Pujols 55, Matt Kemp 50, Troy Tulowitzki 48, MikeStanton 47)...is 1 of only 5 active players with at least 20 homers in each of his first 4 seasons (Ryan Braun,Pujols, Mark Teixeira, Dan Uggla)...in May, he earned his first Player of the Month Award after leading theNL in HR (12), RBI (33), slugging (.739), runs (23) and extra-base hits (19)...his 12hr and 33rbi in May werethe highest totals in a calendar month by a Reds batter since Adam Dunn's 12 homers in July 2008 and GregVaughn's 33rbi in September 1999...his 12 homers tied the club record for May set in 1987 by Eric Davis...in15 apps from 5/15-5/30 hit .422 with 8hr and 22rbi...according to Elias Sports Bureau was the first Reds playerto produce numbers that high in all 3 Triple Crown categories over a 15-game span since Johnny Bench did itin 1972...the only other players in club history to reach numbers that high in all 3 categories over a 15-gamespan are Tony Perez (1970), Frank Robinson (1961) and Ted Kluszewski (1954)...that hot stretch helped himearn NL Player of the Week honors for 5/23-5/29 after hitting .354 (12-34) and leading all Major Leaguers inRBI (13) and total bases (25) while tying for the Major League lead in HR (4)...earned his second Player ofthe Week award from 8/8-8/14, when he led the majors with 15rbi, a 1.120 slugging percentage and 28 totalbases while tying for the lead with 5hr and 9 runs...produced 2 of the Reds' 10 walkoff hits...on 5/4 vs Houhad an RBI-double off Brandon Lyon that gave the Reds a 3-2 walkoff win...produced another game-endinghit in the 11th inning of the 8-6 win vs Chi on 9/15, when he hit his third career walkoff HR (2-run off JamesRussell)...on 5/30 vs Mil fell a double shy of the cycle...from 5/29-6/8 produced a season-high 10-game hittingstreak (.405, 3hr, 8rbi)...in the ninth inning of the 4-3 walkoff loss on 6/28 at TB snapped a season-high 84-atbat homerless skid with a solo shot off Kyle Farnsworth that tied the game at 3-3...in the eighth inning of the 5-3 win on 8/12 vs SD erased a 3-2 deficit with a 2-out,3-run HR off Josh Spence...from 8/12-8/14 homered in 3 straight games for the thirdtime in his career (5/31-6/2, 2008 & 8/29-9/13, 2010)...on 9/27 at NYM fell a tripleshy of the cycle...on 7/22 and 7/23 missed 2 starts with signs of vertigo...was theclub's nominee for the prestigious Roberto Clemente Award for community service. Established career highs in almost everystatistical category...finished the season as the NationalLeague's Player of the Week (.444, 4hr, 5rbi, 20tb, 1.111slg,.500obp)...in the 3-2 win on 9/28 vs Hou hit a walkoffhomer (off Tim Byrdak) to clinch the NL Central Divisionchampionship...led the team with 133 starts in RF and 66starts batting sixth in the order...on 8/15 vs Fla made his18th career start batting second, his only start of the seasonin that spot in the order...tied for the club lead with 12 3-hitgames...after a 1-for-19 start hit .290 the rest of the season,including .388 in his last 22 apps (26-67, 12hr, 20rbi)...from8/31-9/12 missed 12g with pain in his right side...in 18g afterhis return hit .346 (18-52, 7hr, 12rbi)...came back from thatinjury on 9/13, when he led the Reds to a 7-2 win over theDiamondbacks with 2 homers and 4rbi...the injury followedhis best month of the season, when he was a nominee forNL Player of the Month for August (.333, 8rh, 17rbi)...in hislast 19 apps prior to the injury hit .403 (25-62, 8hr, 18rbi)...followed a career-high 35-game homerless streak (7/1-8/11) with 8hr in his next 16g until his right side injury,including 5 homers in the 4g prior to that injury...in a 5-game span from 8/27-9/13 went 11-for-19 with 7hr and12rbi...had a team-high 5 multi-homer games, including a career-high 3hr on 8/27 vs Chi in which he also tiedhis career best with 5rbi (2 off Tom Gorzelanny, 1 off Scott Maine)...homered in 3 straight plate apps over a5-pitch span...became only the second player in Reds history to hit 3 homers in a game from the leadoff spot(Pete Rose, 4/29/78 at NYM) and the first lefthander to hit 3 homers in a game all off lefthanded pitchers sinceMil's Geoff Jenkins did it on 4/28/01 off Mtl's Chris Peters (2) and Scott Stewart (1)...his 12 total bases inthat game were the most by a Reds batter all season, tying Drew Stubbs' effort on 7/4 at Chi...on 8/30 vs Milhit his third career leadoff HR (off Randy Wolf)...in the eighth inning of the 4-3 win on 6/30 vs Phi hit a 2-runHR off Roy Halladay that erased a 3-2 deficit...on 8/2 at Pit recorded 9 putouts, 1 shy of the National Leaguesingle-game record for putouts by a right fielder (10, LAD's Raul Mondesi on 9/25/95 & Chi's Bill Nicholsonon 9/17/45)...on 8/17 at Ari became only the second player in the Major Leagues in 2010 to hit into 3 GIDPin a game (Phi's Placido Polanco) and the first Reds player to do it since Dante Bichette on 5/9/00 vs SD...in the 11-7 win on 8/18 at Ari fell a double shy of the cycle (4-5, 2rbi)...in the fourth inning of Game 2 of theNational League Division Series at Phi homered off Roy Oswalt to give the Reds a 3-0 lead in their 7-4 loss...following the season was eligible for arbitration as a "Super 2" but on 12/14 signed a 6-year contract throughthe 2016 season with a club option for 2017. Led the club with 89 starts in RF and despite a two-month stint on the disabled list rankedsecond on the team in home runs (22)...ranked T5th among National League outfielders with 11 assists, the most by a Reds outfielder since Ryan Freel had 12 assists in 2006...from 7/12-9/13 missed 57 games while on the DL with a broken right wrist suffered while diving for a ball on 7/11 at NYM...when injured, his team-high 18 home runs ranked among the NL leaders...continued to lead the club in HR until Joey Votto hit his 19th on 8/25 at Mil...when injured, was tied with Wsh's Elijah Dukes for the Major League lead in OF assists (10)...after he came off the disabled list made 18 apps and 10 starts (15-46, .326, 4 HR, 17 RBI)...in his last 12g of the season hit .375 (12-32, 4 HR, 13 RBI), raising BA from .208 to season-ending .223...in the 3-1 victory on 9/14vs Hou, in his first plate appearance since coming off the DL pinch hit in the seventh inning and produced a 2-run single off Wesley Wright that erased a 1-0 deficit...produced two-homer games on 4/26 vs Atl, 5/27 vs Hou and 9/29 vs StL...in that game on 5/27 vs Hou had a career-high 11 total bases and became just thethird Reds player in the last 40 years with 2 homers and a triple in the same game (Barry Larkin 1995, Cesar Cedeno 1982)...in the game on 9/29 vs StL produced a career-high RBI...recorded 12 2-hit games and two 3-hit games...in the batting order hit second (2 GS), third (11 GS), fourth (6 GS), fifth (34 GS), sixth (24 GS) and seventh (12 GS)...from 9/3-9/13, including the International League playoffs made 10 rehab apps at Louisville (7-33, .212, 5 BB, 6 K, 2 SB). In his Major League debut finished fourth among rookies in voting for the National League'sJackie Robinson Award and was a TOPPS Major League Rookie All-Star...after Ken Griffey Jr. was tradedto the WSox on 7/31 started in RF in 49 of the Reds' last 53g of the season...overall made 108 apps and103 starts...didn't join the club until 5/27...over a full season his numbers project to 30hr, 75rbi and 91 runsscored...after the All-Star break led the club in HR (15)...in August led all National League rookies in HR (7)...his 13-game hitting streak from 7/27-8/9 and his 12-game streak from 7/9-7/23 were the 2 longest streaks bya National League rookie in 2008...became the first Reds rookie to produce more than one 10-game hittingstreak in the same season since 1988 (Chris Sabo, Jeff Treadway)...led all NL rookie outfielders in assists(8) and ranked among the rookie batting leaders in HR (21, 3rd), RBI (52, 4th), multi-hit games (26, 5th), runs(63, 4th), hits (105, 5th), total bases (187, 4th), doubles (17, 6th), on-base percentge (.314, 10th), sluggingpercentage (.453, 4th)...joined Joey Votto (24hr, 84rbi) as the first pair of Reds rookies ever to produce morethan 13 homers each in the same season...joined Chris Dickerson as the first pair of Reds teammates toproduce, in the same season, 3 hits in their first or second big league games since Jimmy Outlaw and HarryCraft did it in 1937...his 64 starts in RF were second only to Griffey's 89 starts at that position...also started inCF (35gs) and LF (4gs)...in the batting order hit first (22gs), second (15gs), third (24gs), fourth (1gs, 9/18 vsStL), fifth (18gs), sixth (14gs) and seventh (9gs)...produced 26 multi-hit games, including a 4-ht game on 5/30vs Atl that included 3 hits off Tom Glavine...began theseason at Class AAA Louisville and hit .364 (10hr,37rbi, 8sb) in 49g there before he was promoted on5/27...made his Major League debut that night vsthe Pirates, played CF and batted second (3-3, 12b, 2rbi, 2bb, 1sb, 2r)...reached base safely in eachof his first 6 plate apps (3h, 3bb), the longest suchstreak to begin a big league career since Bos' TedCox reached in his first 7pa in 1977 (6h, 1bb)...beganhis career with 11 hits in 19 at bats, the first MajorLeague player to record at least 11 hits in his first 20at bats since Hou's Josh Anderson went 11-for-20in September 2006 and the first Reds player to do it since Chris Jones went 13-for-20 in 1991...in the 10-inning,8-7 win on 5/31 vs Atl hit his first career home run, a walkoffshot off Manny Acosta...became the first player with at least10 hits and a game-ending HR in his first 5 Major Leagueapps since Bill Bruton did it for the 1953 Braves...Bruce'sgame-ending home run was the first by a Reds rookie sinceSkeeter Barnes connected off Hou's Julio Solano on 8/10/84...in addition to his walkoff homer produced two 2-homer games(7/2 vs Pit, 9/19 vs Mil), a pair of leadoff HR (6/13 vs Bos,7/2 vs Pit) and the first grand slam of his life (9/5 vs Chi offJon Lieber)...from 5/31-6/2 homered in 3 straight games...on 6/19 vs LAD was ejected by HP umpire BobDavidson for arguing balls and strikes...on 9/20 vs Mil was hit on the right hand by a CC Sabathia pitch andmissed 2g...in his last 15g of the season hit .182, dropping overall BA from .265...was 1 of 10 Reds playersto make his Major League debut, joining RHP Johnny Cueto, IF Paul Janish, LHP Daniel Ray Herrera, RHPDaryl Thompson, IF Adam Rosales, OF Chris Dickerson, RHP Ramon Ramirez, C/IF/OF Wilkin Castilloand RHP Josh Roenicke...when promoted on 5/27 led the International League in hitting and hits (67) andranked among the IL leaders in slugging percentage (.630, 3rd), runs scored (34, 4th), extra-base hits (24,T4th) and RBI (T5th)...in his last 20g for the Bats produced 13 multi-hit games and hit .456 to raise BA from.284 to .364 (6 2b, 2 3b, 5hr, 16rbi, 18r)...was TOPPS' International League Player of the Month (24g, .419,5hr, 18rbi)...entered the season rated by Baseball America as the top prospect in the organization and byboth MLB.com and Baseball Prospectus as the topprospect in all of baseball...was rated the secondbestprospect in baseball by ESPN.com, behindRays 3B Evan Longoria...turned 21 years old on thefourth day of the season...in Baseball America's BestTools issue was rated the best hitting prospect in theInternational League. Was named Minor League Player of the Year byBaseball America, Sporting News and the Reds' organization...at ClassA Sarasota, Class AA Chattanooga and Class AAA Louisville combinedto hit .319 with 46 doubles, 8 triples, 26hr and 89rbi...ranked among allminor league players in extra-base hits (80, 2nd), total bases (306, 2nd),doubles (T7th), hits (166, 10th) and slugging percentage (.587, 14th)...ledall Reds minor leaguers in homers and ranked among the organizationalleaders in hitting (2nd) and RBI (3rd)...went 1-for-3 with a triple for theU.S. team in the All-Star Futures Game...began the season in Sarasota...on 6/21 was transfered to Chattanooga...was promoted to Louisville on7/12 to fill an outfield spot created when OF Dewayne Wise went to thedisabled list...spent the rest of the season with the Bats...from 7/21-7/29put together a season-high 10-game hitting streak (.342)...from 8/1-8/3homered in 3 consecutive days...was Louisville's Hitter of the Month forAugust (.316, 7hr, 15rbi)...on 9/30 was recognized by the Reds duringon-field ceremonies at Great American Ball Park...entered the seasonrated by Baseball America as the organization's second-best prospect,behind RHP Homer Bailey...finished the season ranked as the top prospect in the organization, InternationalLeague and Florida State League...in Baseball America's post-season tools survey was rated the best hitterfor average and best power hitter in the Reds' minor league system. AtClass A Dayton was Baseball America's low Class A Player of the Yearand a BA minor league All-Star...was MVP of the Midwest League All-Star Game (3-5, 1hr, 1 2b, 2rbi, 3r) and a MWL post-season All-Star...was MWL Player of the Week for 6/5-6/11 (.483, 7 2b, 8rbi)...rankedamong the MWL leaders in doubles (42, 1st), extra-base hits (63, 1st),total bases (229, 2nd), slugging (.516, 4th), RBI (81, 5th) and HR (16,5th)...led all Reds minor leaguers with 81rbi...following the season wasranked by Baseball America as the top prospect in the Midwest League. In his first professional seasonwas ranked by Baseball America as the top prospect in the Pioneer League and the second-best prospectin the Gulf Coast League. August 24, 2018 New York Mets activated RF Jay Bruce from the 10-day disabled list. August 14, 2018 New York Mets sent RF Jay Bruce on a rehab assignment to St. Lucie Mets. June 19, 2018 New York Mets placed RF Jay Bruce on the 10-day disabled list retroactive to June 18, 2018. Sore right hip. May 14, 2018 New York Mets activated RF Jay Bruce from the paternity list. May 11, 2018 New York Mets placed RF Jay Bruce on the paternity list. January 16, 2018 New York Mets signed free agent RF Jay Bruce. 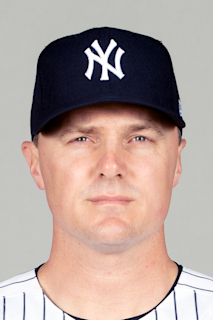 November 2, 2017 RF Jay Bruce elected free agency. August 10, 2017 Cleveland Indians activated RF Jay Bruce. August 9, 2017 New York Mets traded RF Jay Bruce to Cleveland Indians for RHP Ryder Ryan. August 2, 2016 Jay Bruce roster status changed by New York Mets. April 28, 2016 Cincinnati Reds activated RF Jay Bruce from the paternity list. April 25, 2016 Cincinnati Reds placed RF Jay Bruce on the paternity list. August 1, 2014 Cincinnati Reds activated RF Jay Bruce from the bereavement list. July 29, 2014 Cincinnati Reds placed RF Jay Bruce on the bereavement list. May 21, 2014 Cincinnati Reds activated RF Jay Bruce from the 15-day disabled list. September 14, 2009 Cincinnati Reds activated RF Jay Bruce from the 15-day disabled list. September 3, 2009 sent RF Jay Bruce on a rehab assignment to Louisville Bats. July 12, 2009 Cincinnati Reds placed RF Jay Bruce on the 15-day disabled list. Broken right wrist.